REAL love and forgiveness in Jesus Christ"
It seems like yesterday that a group of 40 people from Bethany Church in Canby joined our family to start this brand new church plant in 2005. A number of people have come and gone since then, but it sure is exciting to watch God building up a church – with lots of new converts, and lots of people growing up to love Jesus! The original core team named our church two rivers church. It was one of the many decisions that our core team made as we met together during “the early days”. 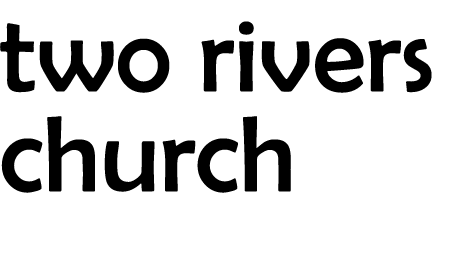 I wish I had a deep, spiritual story to put here… but, honestly, we named the church because it sounded good and because we are close to two large rivers – the Willamette and the Clackamas. Originally we thought we’d be closer to where the two rivers come together. But God moved us a few miles farther north in Oak Grove- closer into Portland. Yeah – about Oak Grove (the name of our community between Milwaukie and Gladstone) – it’s not exactly a church planter’s dream location. In fact some tried to talk us out of going to this “graveyard for churches”. But we all felt so drawn to this community – a place where there are very few growing churches. We were also convicted that we need to aggressively reach out to the unchurched and disenfranchised of our community – which meant a focus primarily on “middle to lower-class, biblically illiterate, not comfortable in church types’. And that is exactly what has happened! We prayed that God would help us to create a ministry environment where people would feel comfortable and they could let down their religious masks and just “be real” with God and with us. We now have a wonderful group of people – many are brand new followers of Jesus who are discovering how to live out Christianity during difficult times. Our growth has been slow, yet steady. Intentionally, very little of our growth has come by the already-established believer. Most of our growth has been conversion growth, and helping non-connected believers feel comfortable in a church environment. Many of our original core members are still ministering with us and we have now more than quadrupled in size.